Spa is one of the major investments that you make in your lifetime. A spa at home is one of the luxury gifts that you can give yourself and your family. Having a spa at home has numerous benefits. It saves your cost from visiting a local spa. Apart from that you can always engage yourself in spa bathing at any given time. Decorating a home spa can give your spa an assorted meaning. It can change the ambience of your home. You can use different spa accessories to compliment the look of your spa. This will make your overall spa experience astounding as well as interesting. The various spa accessories are spa cover umbrella, blanket, lights, stool and others. Spa umbrella is one of the useful as well as decorative accessories of a spa. 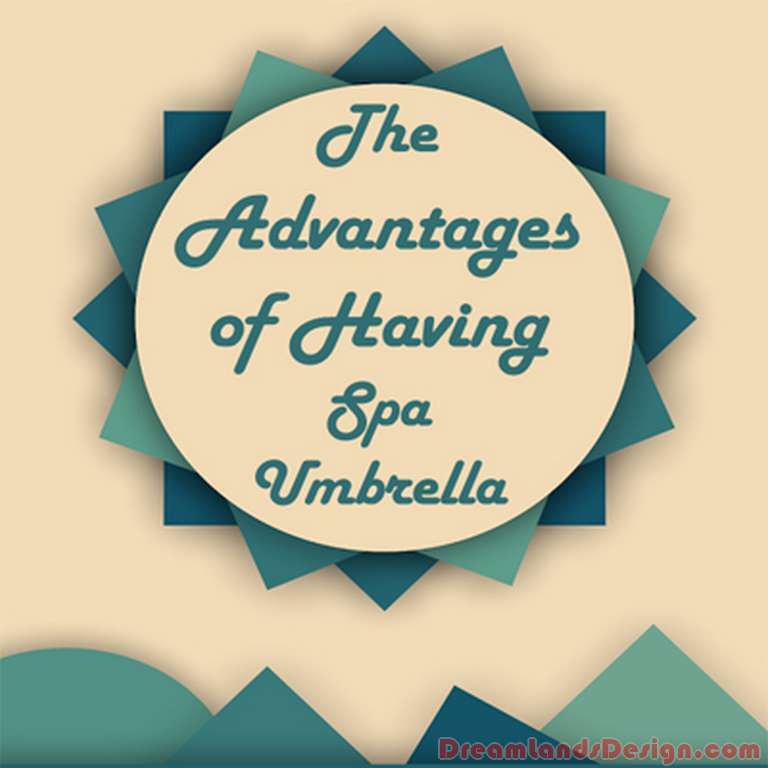 There are various advantages of investing in a spa umbrella. Let’s take a look at it. Firstly a spa umbrella protects your skin from ultra violet rays of the sun directly. It means you will get total solar protection while bathing. Secondly, a spa umbrella can prevent the falling of leaves, debris and other elements falling upon you while spa bathing. Thirdly, a spa umbrella can help you enjoy your spa bath throughout the year be the monsoon months or winter you can enjoy spa experience without being bothered about rain or snow. Fourthly, a spa umbrella can be easily replaced after its use and can be effortlessly used in indoor areas. Fifthly, in indoor areas, a spa umbrella makes for a highly stylish and sophisticated décor. Sixthly, spa umbrellas come with easy mechanism. It can be easily shut open or closed. This makes them very convenient. You can replace them according to your need and use. As you can see the various advantages of spa umbrella, it is also essential to maintain the umbrella. Maintaining your spa umbrella is very important for its longevity and permanence. Whenever you choose to shut your umbrella, tie it firmly and keep it in a covered state to prevent the growing of mildew. A protected covering keeps your umbrella clean and ready for re-use.